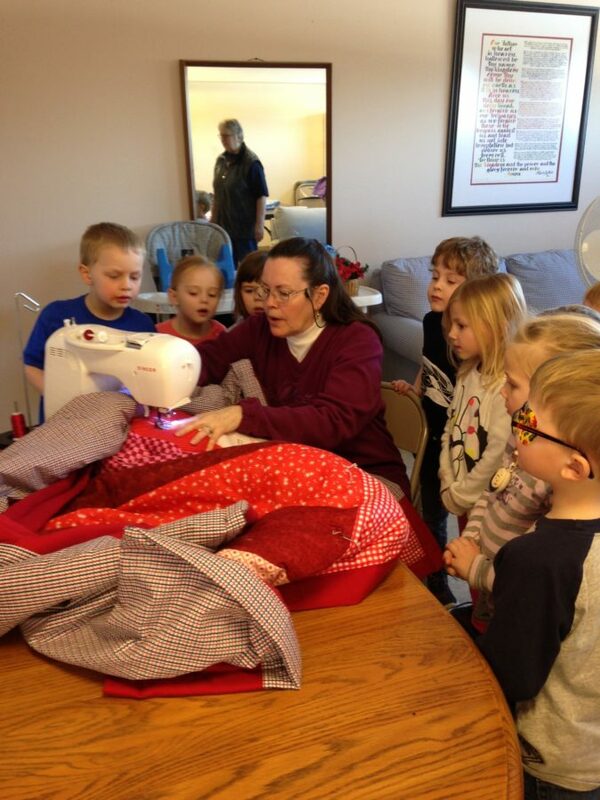 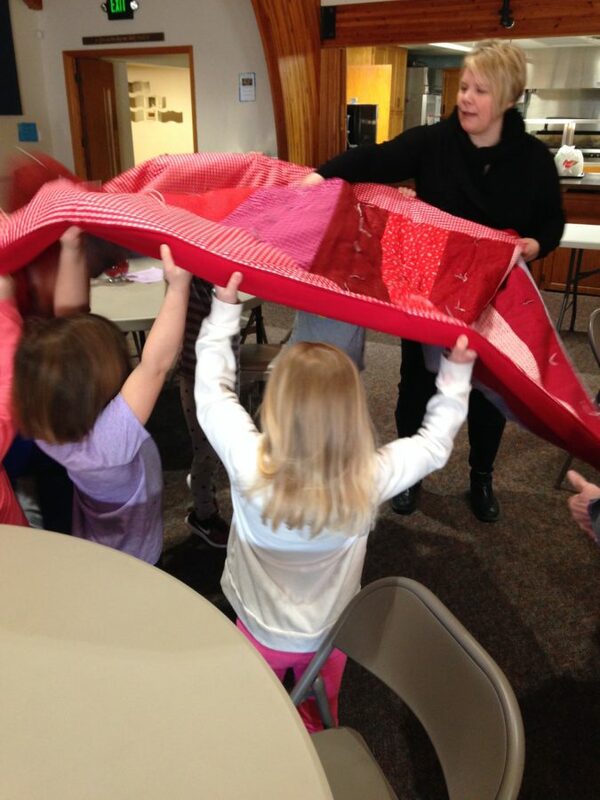 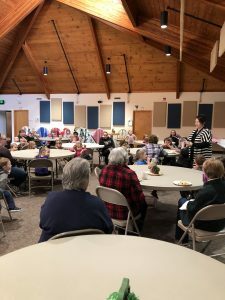 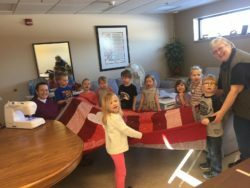 Calvary Preschool classes visited the Calvary Quilters on February 21, 2019, since one of the letters they were learning was the letter “Q”. 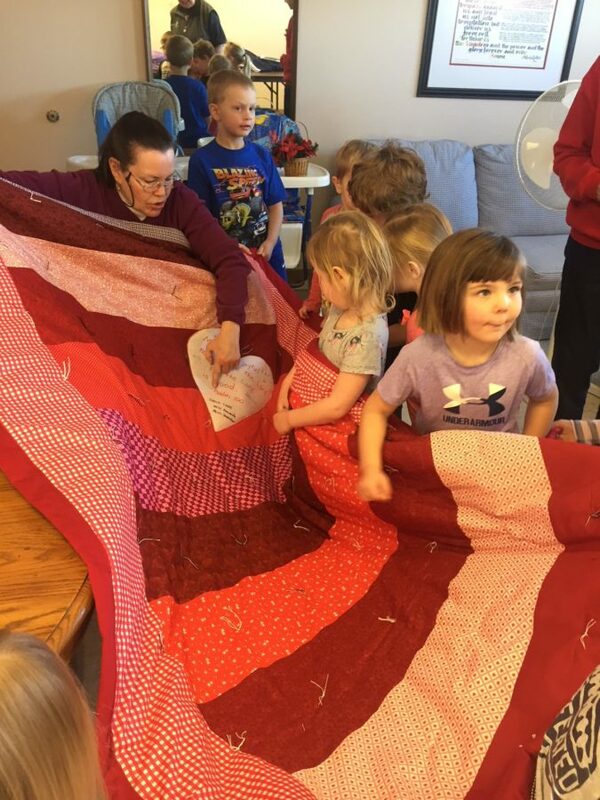 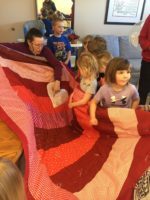 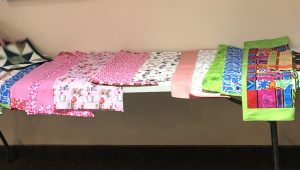 Preschool teacher Miss Amanda read the book, “The Quiltmaker’s Gift” to the students and the quilters, and then each class was able to choose a quilt for their room, as well as 4 doll blankets that had been made by some of the quilters. 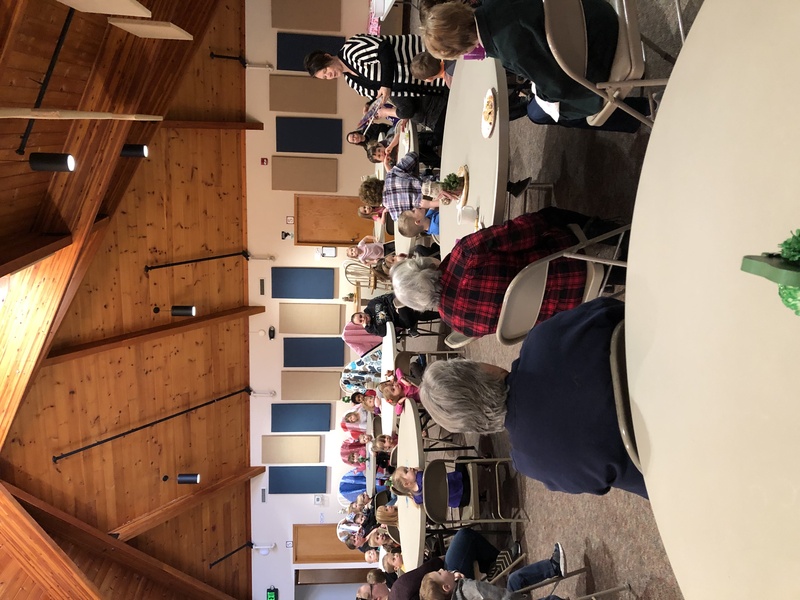 Miss Amanda’s class prepared and served brunch to the quilting ladies, and her students sat with the quilters and visited as we ate.